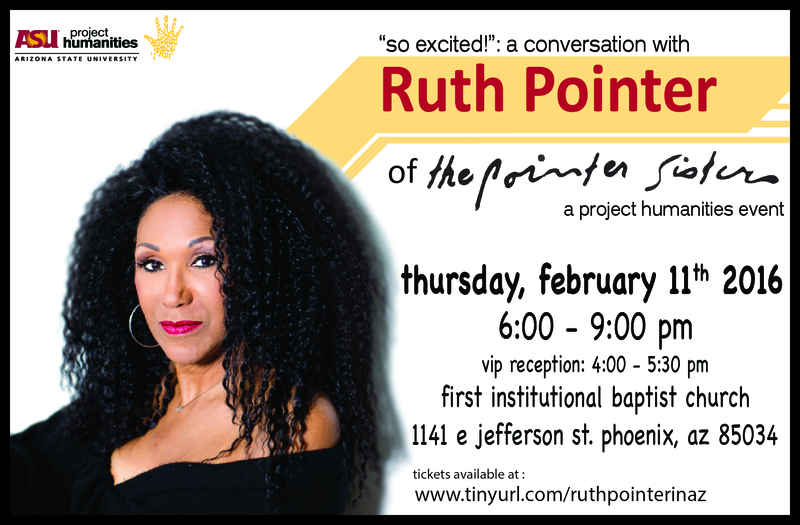 ASU’s Project Humanities is hosting “A Conversation with Ruth Pointer of the Pointer Sisters” as part of its spring 2016 kickoff for its campaign, “Humanity 101: Creating a Movement.” The event starts at 6 p.m., Feb. 11 at the First Institutional Baptist Church, 1141 E. Jefferson St., Phoenix. 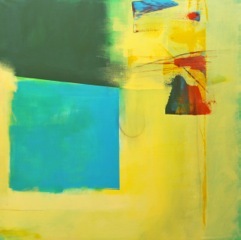 Admission is free and open to the public. A limited number of VIP tickets will be sold, which includes a reception from 4 to 5:30 p.m., a signed copy of Pointer’s new memoir, "Still So Excited!" and a reserved seat for the main event. Go here to reserve your seat for either or both events. During this campaign, Project Humanities will host a wide range of events and activities at the ASU campuses and at different community events around the Valley; bringing together students, staff, faculty, alumni, emeriti and the public to engage critically with these seven values — respect, integrity, compassion, forgiveness, empathy, kindness and self-reflection. “We are extremely excited about and honored to host Ruth Pointer’s visit,” said Neal Lester, founding director of ASU’s Project Humanities and Foundation Professor of English. Few musical acts have seen the extreme highs and lows of the Pointer Sisters. From their humble beginnings in West Oakland to the center of the pop music scene in the 1970s and 1980s, they’ve endured more than 40 years under the harsh heat of the media spotlight. Their music entertained and brought joy to millions of fans around the world, but for Ruth Pointer, the journey wasn’t always a happy one. The group’s popularity and multiple hit songs (“I’m So Excited,” “Jump,” “Automatic,” “Neutron Dance” and “Slow Hand”) thrust the sisters into international stardom, winning four Grammy awards, a slew of MTV “Moon Man” trophies, and a star on the Hollywood Walk of Fame. While their success may have served as an introduction to the good life, it was also the introduction to the "high life" of limos, champagne, white glove treatment and addictive habits that were the norm in the high-flying '70s and '80s. Though it sounds like all the makings of a thrilling life, it was also one filled with heartbreak, inner demons and years of struggle for Pointer, whose devastating drug and alcohol abuse took her to the brink of death in 1984. Pointer says she eventually found recovery through a pair of 12-step programs, embracing a sobriety through structure and measure that she has stuck to for more than three decades. Project Humanities is an award-winning university-wide initiative at ASU with the expressed goal to show the interactions among humanities and other areas of scholarship and human endeavor. Through public programming and scholarship, Project Humanities seeks to make visible locally and nationally the excellence, range, and impact of humanist thinking and practice. For more information, call 480-727-7030 or visit https://humanities.asu.edu/.